If you’re like me and love a kitchen gadget, but aren’t sure whether to add a Scott Simplissimo Chef to your collection, then here’s everything you need to know! I’ve outlined all of the pros and cons below, giving you my insight into whether it’s worth the investment and whether it’s the right addition to your kitchen cupboards. What Is The Scott Simplissimo Chef? Not only does it do all of that, but it has a manual function for when you want to be in direct control, and it even has an auto-clean function! 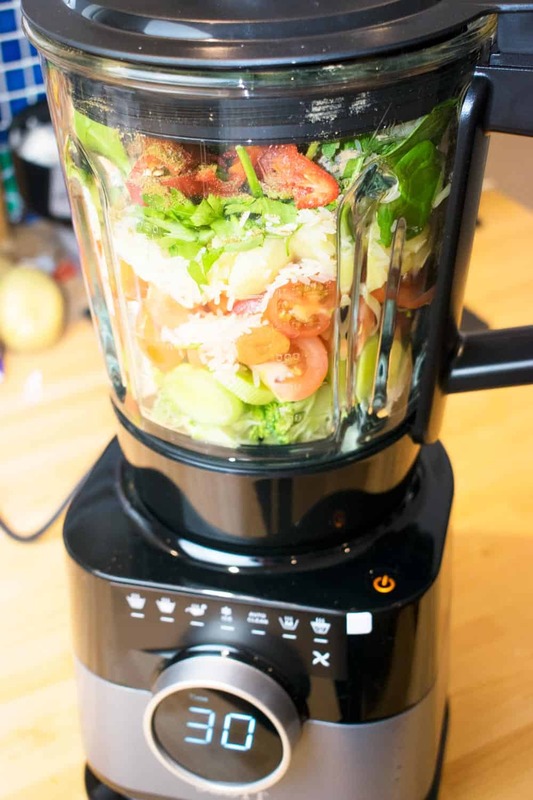 This means that you can add the ingredients for your soup or sauce straight into the blender, set it to cook and let it do its thing, and of course, you can do everything you’d expect from a blender such as making a smoothie or blitz up breadcrumbs. I’ve always thought of blenders being plastic, and that was a worry for me with this. If my blender was also going to funtion as a multi-cooker then I didn’t want it to be made from plastic! Setting aside the environmental impact, I am totally suspicious of even BPA free plastics, so I was thrilled when I realised that the 1.75L jar is actually made from glass! Pros: This makes it environmentally friendly, healthy to use and gives it a really high-quality feel. It’s also a really large capacity, so if you’re using it to make soup then you have enough capacity to cook for the whole family. 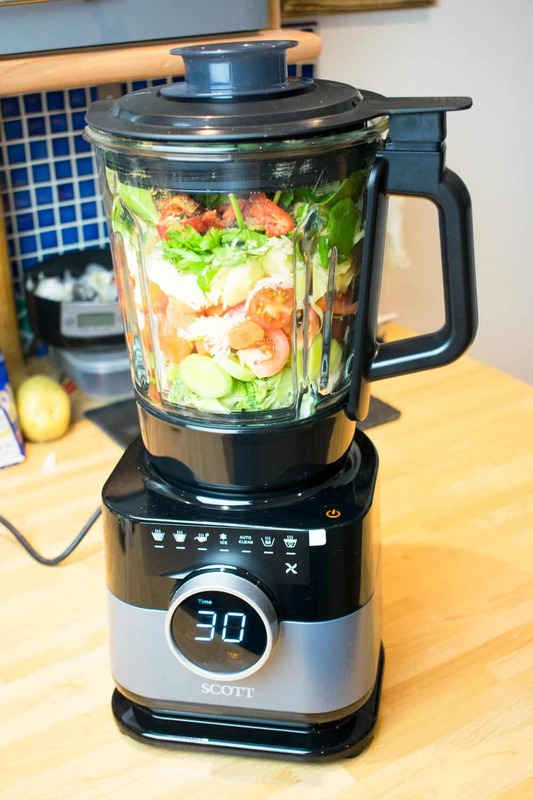 The size of the jar means you can make loads of soup, smoothies or veg at once. Cons: The glass does make the jar quite heavy (I could see this being an issue for more elderly people) and it is a large appliance so needs the space for storage. Like I say, my biggest worry was that I wouldn’t be able to work out how to actually use the Scott Simplissimo Chef! I would definitely suggest reading the instructions, which are well laid out and easy to understand, but as a general rule, this is really easy to use. The large round rotary button at the front has a really pleasing feel to it and a large touch screen LED display. Above that, you have the row of functions which you slide between to tell the blender what to do! Pros: It’s really easy to navigate between settings or to manually adjust the blender. Cons: There aren’t really any! Having always used a simple, one function blender in the past, I was very excited when my Scott Simplissimo Chef arrived in the post. 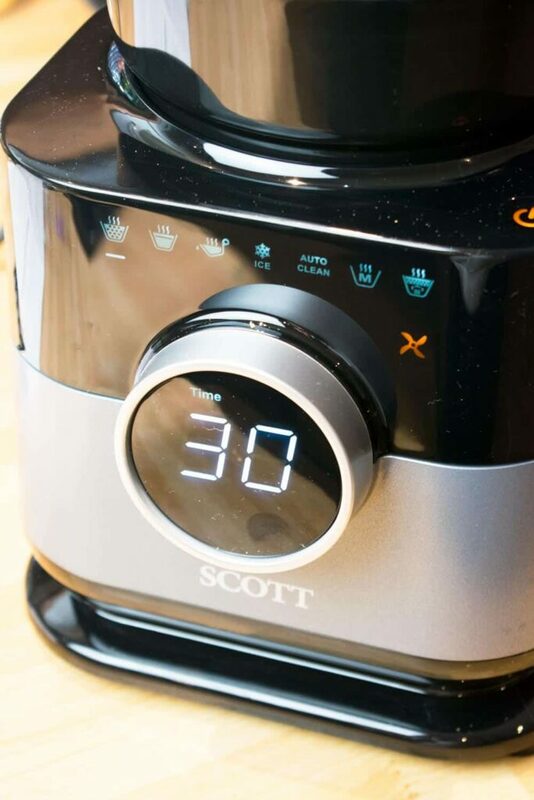 SCOTT had asked me to test it out and looking at the functionality I was particularly keen to give the soup making and steaming functions a go. The reason for that is, that those are things that I had never expected to see a blender do! I was fascinated by the concept of my blender actually cooking food for me, and more importantly doing it well. I have so far tested out both soup functions and the steaming function, and I’ve frankly been blown away! 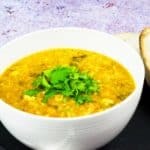 You can see my recipe for Chunky Winter Vegetable & Rice Soup, which was made in my new Scott Simplissimo Chef, to see just how perfectly soup can turn out. I was really sceptical that it would actually make a chunky soup well and I assumed that it would either be undercooked and not blended enough, or far too smooth for the recipe. I couldn’t have been more wrong! 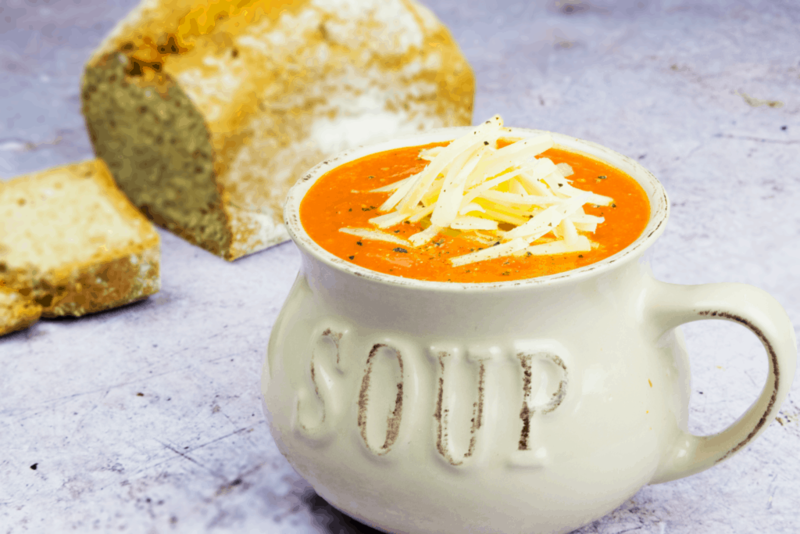 Both the chunky and smooth soups that I’ve made so far have been exactly the right consistency and the ingredients have been cooked to perfection to get the most flavour from them! The steaming function also worked a treat! 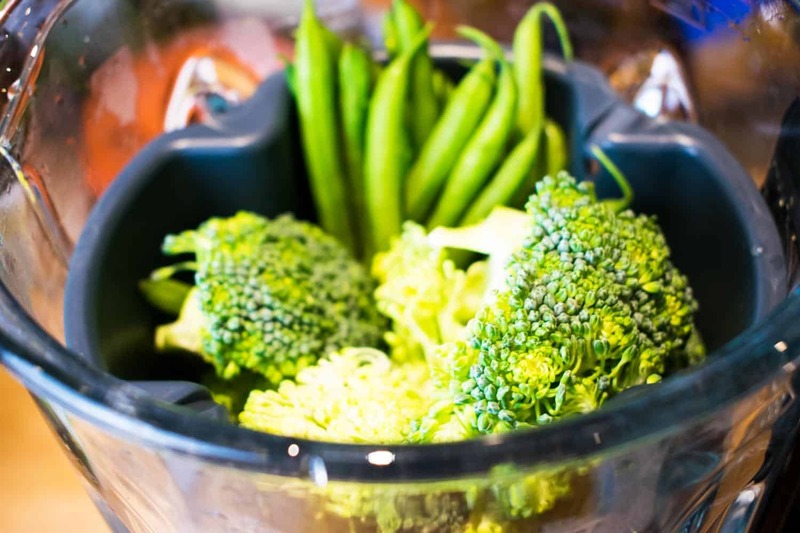 You can steam for however long you want, depending on what veggies you’re making. I tried it out with broccoli and green beans and steamed them for around 10 minutes for the perfect level of crunch. Steaming veggies is the best way to maintain their nutritients, so this is a welcome addition to my kitchen. SCOTT even provide you with a useful tool to get the steaming basket out of the blender, because you quite obviously don’t want to burn your fingers. 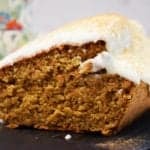 My one note on this function would be to make sure you let the steam die down before you open the top of the blender, as you will burn your fingers (as I did) if you don’t! Who Should Buy The Scott Simplissimo Chef? If you are agonising about whether or not you should buy yourself, or someone you know, a Scott Simplissimo Chef, then the best thing to do is consider how much you’d use it. 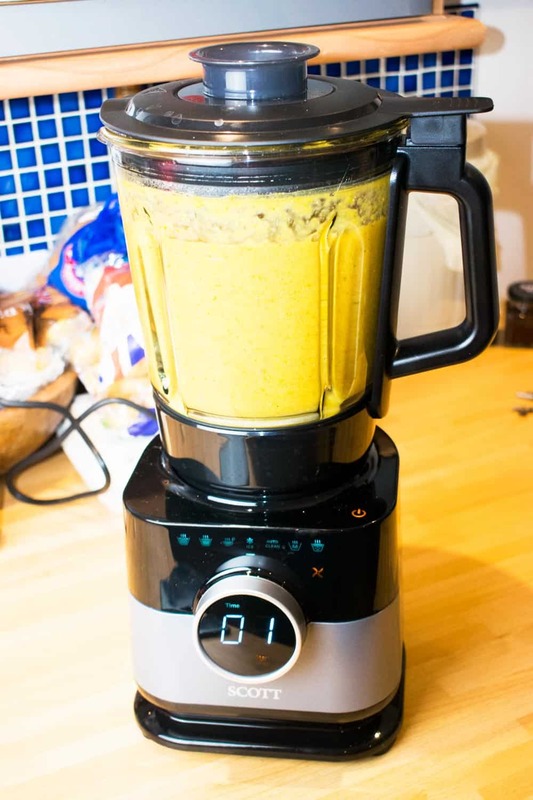 For me, it’s a brilliant addition to my kitchen because it can replace my old blender for making things like smoothies or blitzing up ingredients, but it also enables me to cook things I might not otherwise make! I really love soup and this makes it super easy and quick to make a whole host of different kinds of soup. Whether you want a chunky soup, a smooth one or a more complicated Asian soup, you’ve got loads of choice and you barely have to think about the actual cooking process. Simply add your ingredients, set the Scott Simplissimo Chef to the right setting and press ‘start’. 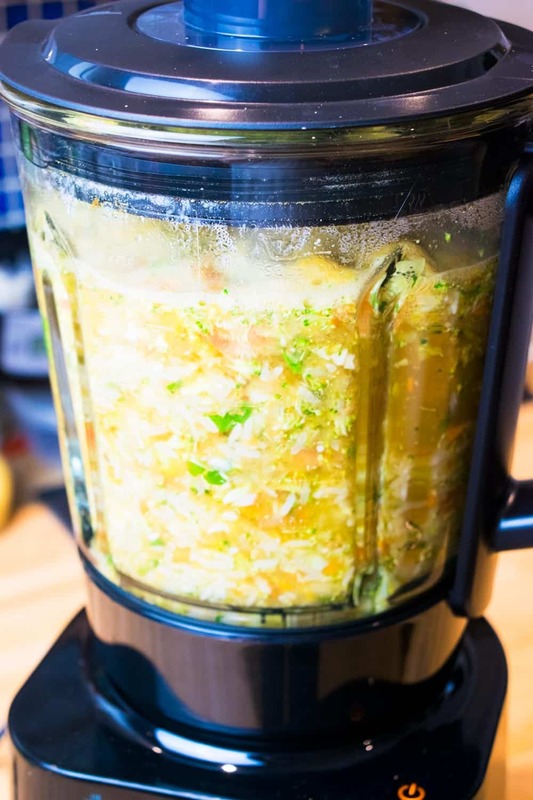 When you come back after it finishes, you’ll have a piping hot soup ready to eat, and the blender will even keep it warm for you for up to 20 minutes after it’s done! 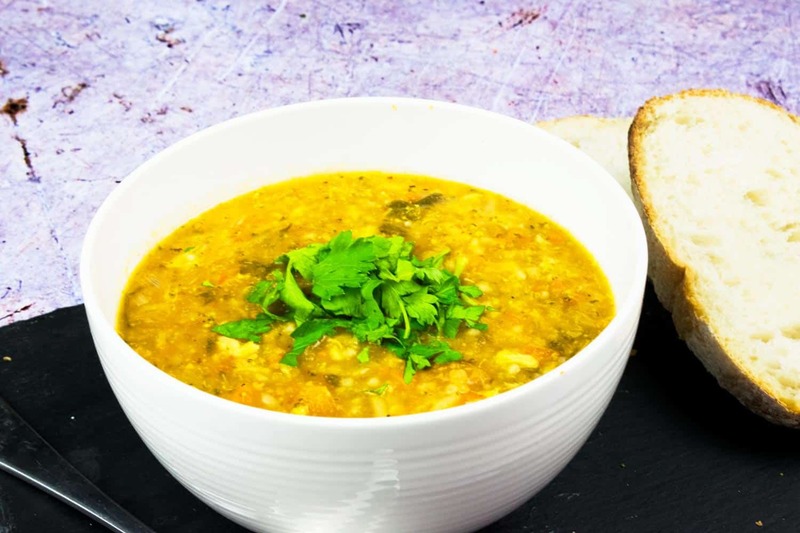 Soup is a really healthy meal choice so being able to make it so quickly is a godsend. 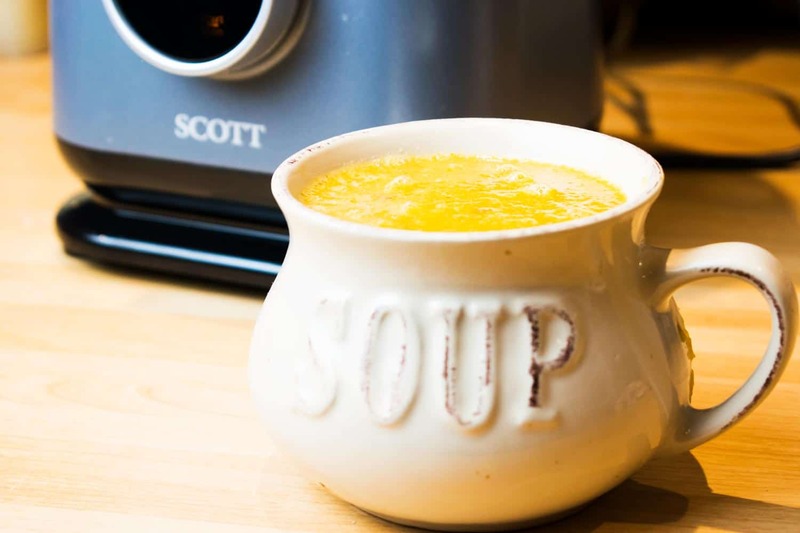 The soup making side of things is without doubt one of the most important elements of the Scott Simplissimo Chef, and it really does live up to the expectation! Ok, so it might sound like I’m being flippant here but if you are looking to add a simple blender to your kitchen then why wouldn’t you buy this instead! You get all of the same simple capacity of a normal blender with a tonne of added extras! 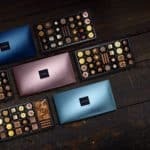 It might also enable you to reduce the number of extraneous gadgets clogging up your kitchen because it consolidates so many functions into one gadget. One of the most exciting things about the Scott Simplissimo Chef is that you can Sous Vide in it! This means cooking vacuum sealed meat, fish, veggies (or just about anything else) in a water bath for perfectly tender and beautifully flavoured food. I’m yet to give this particular function a go, but I have no doubt that it’ll be a success. I’ve been wanting to try Sous Vide cooking techniques for ages and this gives me the opportunity to do so! This goes back to its function as a soup maker, but for me it’s a super important point! I am forever buying vegetables that sit in the fridge and don’t get used. I’ll use half a packet and then have no reason to use them again, and before I know it they’ve gone off. Whilst I could of course make soup on the hob with my old veggies, it somehow feels like a step to far to do the chopping, boiling, stiring and blending. Being able to simply chuck it all in the blender and set it to cook means I’m wasting less food, creating healthy meals on a regular basis AND saving time in the kitchen! 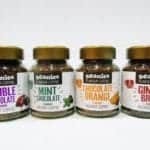 It’s the time of year where you’re probably scrambling for Christmas gifting choices for family, friends and loved ones! 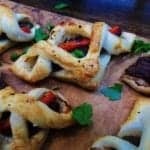 I can honestly, hand on heart, say that if you are considering what to buy for a food lover then the Scott Simplissimo Chef is a really excellent choice! 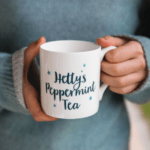 It’s the kind of thing that I’d have loved to be bought by my other half or mum, and it’s a great choice for someone who has recently moved to live on their own or maybe doesn’t have as much kitchen space as they’d like! The RRP for the Scott Simplissimo Chef is £159, which does put it at the higher end of the Christmas gift list, but if you’re looking for a gift that is practical, stylish and will actually get used all the time then it’s ideal. You can buy it on Amazon Prime here or buy it directly on SCOTT’s own website. The best part? You could even use it to cook the brussels sprouts and gravy for Christmas dinner! When I’m asked to try out products I always try and view them both from my own perspective and that of the people I’m sharing it with (i.e. YOU!). For me, the Scott Simplissimo Chef is a really valuable addition to my kitchen. I’ve been able to donate my old blender, cook more healthy food and try out new cooking techniques since it arrived. I’m really trying to save money on food right now, whilst making my best efforts to eat as healthily as possible (for me and my growing bump!) and this just makes that so much easier. I can’t wait to test out the sous vide function and to use it to make breakfast smoothies and prepare ingredients for other recipes in the future! I can hand-on-heart recommend it! I can already see that I’ll be using it on a weekly basis (if not more) which makes it more than worth the price and I love that it’s a really beautiful addition to my kitchen. The sleek, stylish design means it doesn’t have to live at the back of a cupboard and the glass doesn’t tarnish like plastic! The only downside is that it is a larger appliance, so if you are limited on space then make sure you have the cupboard or surface space to store it. Aside from that, it’s easy to use and most importantly will help you make delicious food…which is all I ask from my kitchen gadgets! The Scott Simplissimo Chef looks very impressive! I'd love to have one for my kitchen! Wow is a great post and really great advice. Thank you for sharing this. 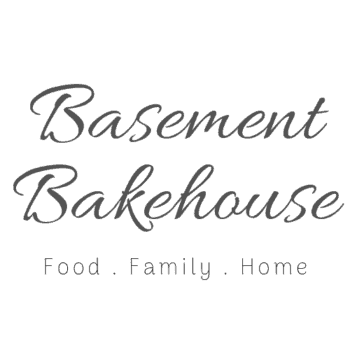 I love multi-functional kitchen gadgets and that blender sounds amazing! Wow! That is so fun! I had one that must have been from the 60's or 70's that was great, but finally died! It was so handy! I am going to buy one! Thanks for the tip! This is like a blender and crockpot all in one. Love this idea for winter soups. 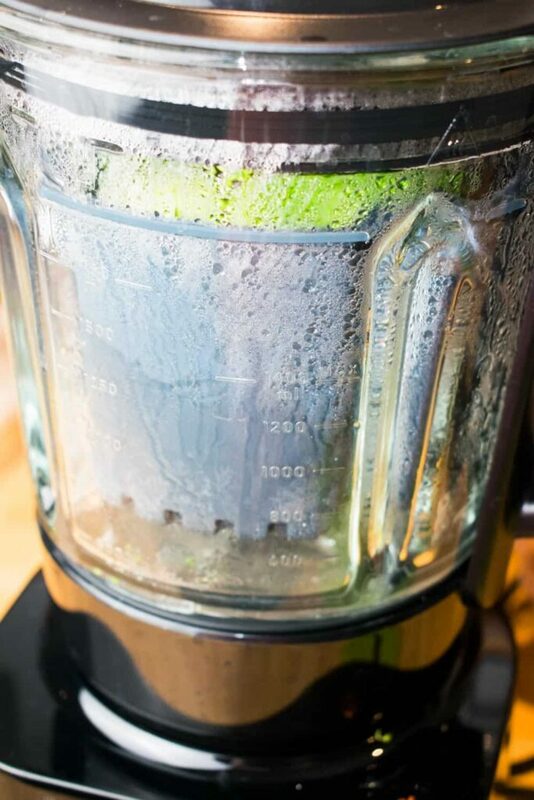 I can't believe this blender does so much. Amazing! What a fun way to cook soup! I have never heard of this. Wow! So much good information. Thank you for sharing! The soup looks great too. I had no idea such a thing existed! 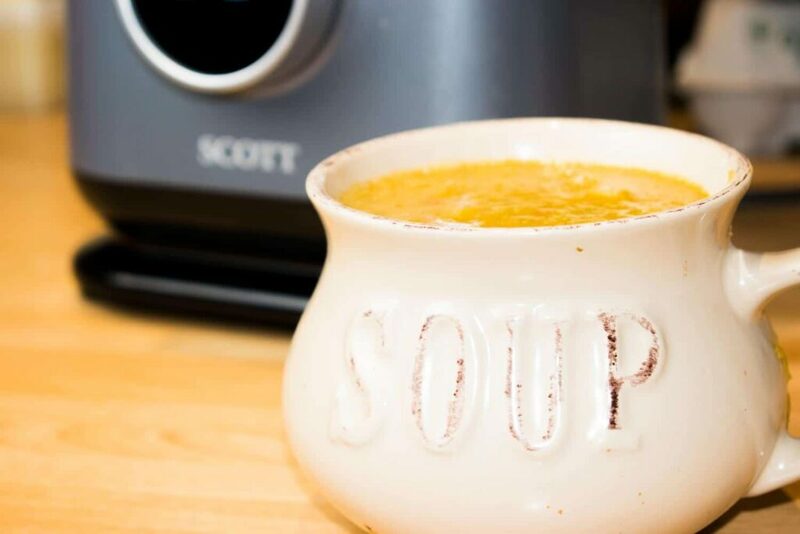 We are huge soup lovers around here, so I think it might be perfect for us. Great review! 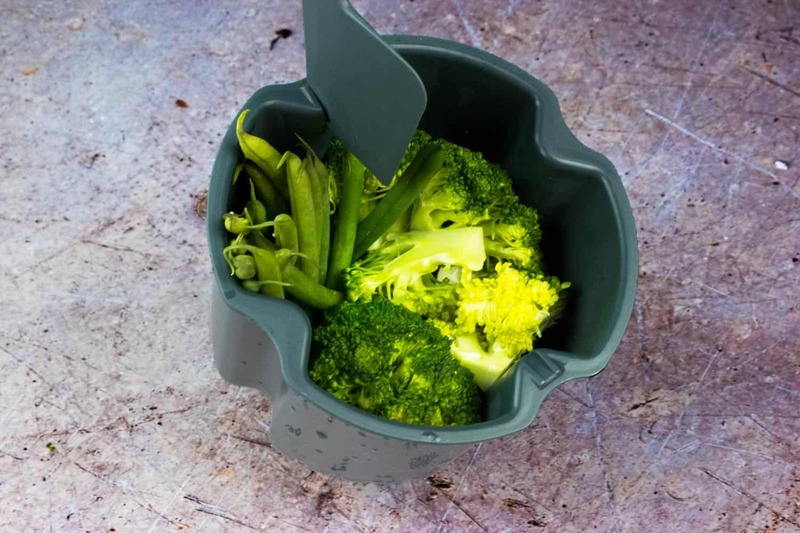 I love kitchen tools that are multi-functional!